After a funeral, you may be asked to join family members, close friends, and acquaintances of the deceased at a funeral repass or reception. This is a time to get together, reminisce, and connect with others who are grieving. If you are the one planning the post-funeral reception, remember that the primary purpose is to bring everyone together. No one expects entertainment, so you don’t have to plan elaborate activities or menus. Most people will be happy to help out if you ask them. There are several reasons it’s a good idea to have a repass. It provides an opportunity to express sympathy and offer condolences to the family of the deceased. It gives family and friends of the deceased some time to support each other as they mourn their loss. It's time to celebrate the life of the person who passed away. The location of the post-funeral reception should be based on the number of people and the accessibility of venues in the area. Some people prefer to host it at a family member’s home, while others may choose to go to a restaurant, fellowship center at the church, or public hall. There is also nothing wrong with having the gathering at a park, weather permitting. This is an option that many people choose if they have young children. If you want to host a repass but don’t know where to have it, talk to the funeral director. This is a person who is trained to assist with all aspects of the funeral. If everyone who attends the funeral is invited to the gathering, it is acceptable to announce the service. Be prepared to provide an address and directions for those who don’t have GPS. For a smaller post-funeral reception, discreetly hand out invitations or notices of the location and time of the repass. You may also have a larger get-together for everyone and a smaller event at a different time for family and close friends. The post-funeral reception can be immediately after the service, later in the day, or up to a few days afterward. It’s best to do it as soon as possible after the funeral service so those who traveled from a distance will still be in town to attend. While it’s not necessary to provide a full meal at a post-funeral reception, it’s nice to have some refreshments. 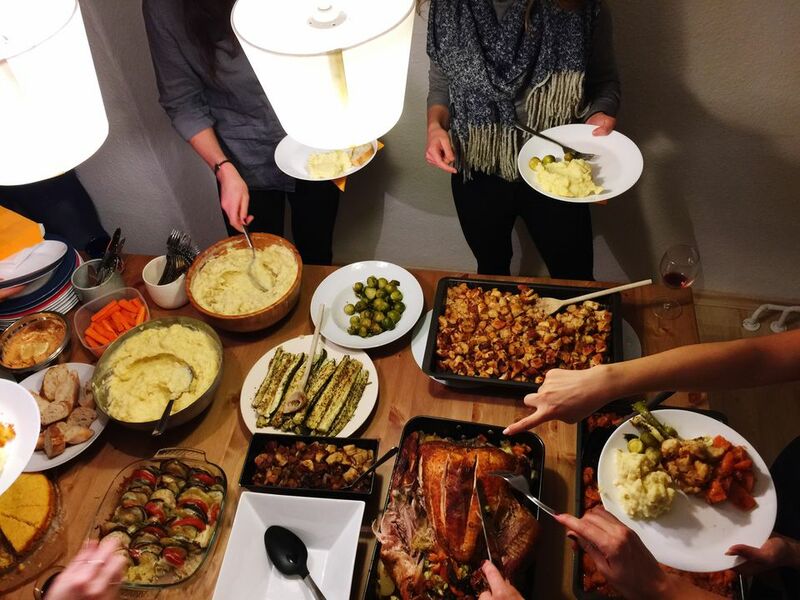 The host may choose to provide all of the food and drink, or family members and friends can contribute. When friends and family members bring food to share, it’s best if they use disposable containers or dishes that don’t have to be returned. Another option is to have it catered. What to serve is up to the host. You may have a sandwich platter with chips and veggie trays, or you may have a buffet style table with casseroles. There are no hard and fast rules on the food and drink selection, but it’s always a good idea to have a variety of drink options, including coffee, tea, soft drinks, and water. When it’s time to serve food, always allow the family of the deceased to go first. They may not want to eat right away, and that is fine. After they are served, everyone else can get in line. It’s important to remember what you are there for. Unless the deceased requested a boisterous celebration, it’s best to keep the noise down and save the jokes for later. You don’t have to be glum, but you should always remain respectful for those who have just lost a loved one. When it’s time for refreshments, don’t act like you haven’t eaten in days. Get small servings and resist the urge to inhale your food. Don’t hang around for too long. When you see other people leaving or if the host starts to get fidgety, it’s time to go. Before you leave the reception, thank the host and pay your respects to the family members one more time.